LAND OF MY FATHERS swept through the cold St David’s Day air, the Swansea Male Voice Choir sang for one of their own. The crowds outside the Leeds parish church were there to say farewell to John Charles – a man as respected in the northern heartlands of England as he was in the valleys of South Wales to the industrious cities of north-west Italy. 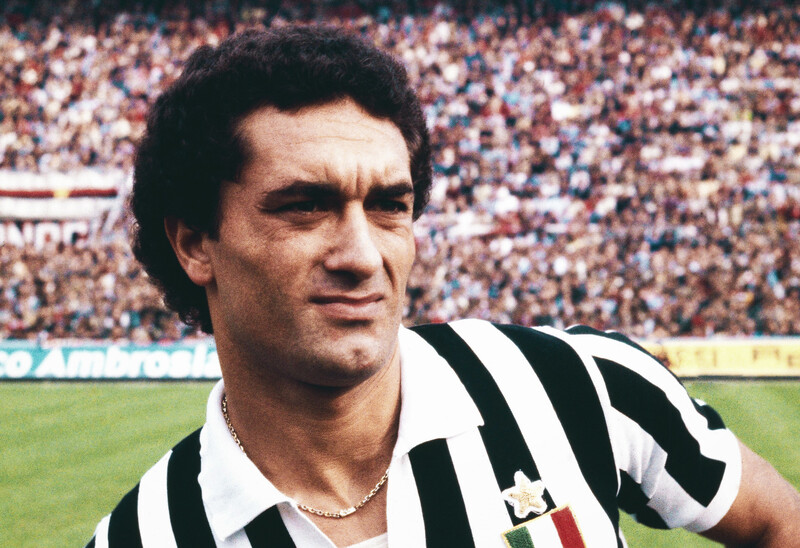 Known as Il Gigante Buono, he never once rose to provocation, with no yellow or red cards throughout his career. Legends of the game were in the throng to pay their respects, including Jack and Sir Bobby Charlton, Norman Hunter, Denis Law, John Toshack and Sir Alex Ferguson. Yet it was the diminutive gentleman in the camel-hair coat who had flown in from his native Argentina who represented a time when John Charles was arguably the best player in Europe, if not the world. Omar Sívori arrived in Turin the same summer as Charles and the homesick Argentine found himself rooming with him on away trips. Despite the language barrier, the pair bonded over smiles and nods, and an instinctive friendship grew which was the harbinger for their success on the field. Alongside Giampiero Boniperti at Juventus, they formed the ‘Holy Trident’, an imperious attacking triumvirate still revered on the streets of Turin almost 60 years on. Charles was born and raised in Cwmbwrla, one mile north of the coal mining city of Swansea. An evacuee during the Luftwaffe blitz of World War Two, his footballing life began in the youth ranks of his home city. Disillusioned by the lack of games at his hometown club, he opted to move to Leeds United in 1948. It was here, under the tutelage of Frank Buckley, that Charles rose to prominence, the six foot two inch powerhouse tried first in defence, then as a centre forward. In testament to Charles’ character, he didn’t question the change in position, or when Buckley slotted him back into defence for the remainder of the 1951/52 season. Come the October, though, Charles was again moved up front and this time there was no going back; he scored 11 goals in his first six games including the club’s first hat-trick in two years. Despite Charles’ goalscoring prowess, Leeds found themselves unable to escape the Second Division and clubs began circling to try and tempt the prolific Welshman away. The 1955/56 season saw the West Riding side finally gain promotion as runner-up to fellow Yorkshire club Sheffield Wednesday. Charles was finally in the First Division. His debut season saw him finish top scorer with 38 goals in 42 games as Leeds secured a creditable eighth-place finish. This achievement did nothing to dull his appetite for improvement, frequently the last to leave training. Buckley was pushing him all the way, designing a drill to improve his leap by having Charles jumping to head the crossbar without a ball in sight. His debut season saw him finish top scorer with 38 goals in 42 games as Leeds secured an impressive eighth-place finish. This achievement did nothing to dull his appetite for improvement, frequently the last to leave training. Buckley was pushing him all the way, designing a drill to improve his leap by having Charles jumping to head the crossbar without a ball in sight. Sunderland, Manchester United, Arsenal and Lazio all being rumoured to have bids refused over the years. With the promotion and subsequent season in the First Division, Arsenal readied a bid as did Cardiff. An opportunity to move back to Wales piqued Charles’ interest, though a move to a division rival was rejected out of hand by Buckley and the Leeds board. On 18 September an incident occurred that would shape both Leeds and Charles’ future. Prior to a home league game with Aston Villa, an electrical fault at Elland Road saw a fire rip its way through the West Stand, causing catastrophic damage. The dressing rooms, club offices, physiotherapy equipment and even playing kit were reduced to ash. Owing to the huge increase in interest in football since the end of the war over a decade earlier, the game was awash with money. The maximum wage cap kept player salaries under control but the heavy costs that the clear up and rebuild would entail saw Leeds at a crossroads. A year earlier, 22-year-old Umberto Agnelli became president of Juventus, a moment that would herald an era of success for La Vecchia Signora. Umberto’s father, Edoardo, was a principal shareholder in the family’s Fiat motor company and helped turn it into one of the major car builders in Europe. The Agnelli family’s other passion was calcio. Their ties with Juventus began in 1923 and helped turn the Bianconeri into Italy’s first professional club, and also saw the club move into Stadio Comunale, where they won five straight championships from 1931. However, by 1957, they had seen only two further successes. Football agent Gigi Peronace had followed John Charles’ career with interest, and over the years the two had even become friends. Peronace was now in the ideal position as speculation grew over the future of the popular striker. Interest in Charles was at fever pitch, the 38 goals in the First Division catching the eye of European giants Real Madrid and Inter Milan. Eager to steal a march on the competition, Agnelli flew to Belfast to see Charles play for Wales with rumours of a bid imminent. The refusal from Leeds to sell was beginning to wane, the huge costs of repairing the West Stand at Elland Road emptying the coffers at an alarming rate. By Easter 1957, Leeds caved in, and so long as it wasn’t to a rival, they were open to offers for their talisman. Charles, who had seen two previous transfer requests refused, was suddenly looking at an opportunity to make riches beyond anything he could dream of in England. The maximum wage ruling meant Charles would earn the same £18 per week whether at Leeds, Cardiff or Arsenal. Agnelli arrived in London with the promise of a £10,000 signing on fee as well as healthy bonuses. Fiat cars readied, the Italian faction were on their way to England to strike a deal. Charles’ agent Teddy Sommerfield was also on his way north with close friend and football presenter Kenneth Wolstenholme. Sommerfield’s other clients were in the showbiz and entertainment world, so Wolstenholme was there to add football insight. Charles and his hastily-assembled crew took up base in room 222 of the Queens Hotel, whilst Agnelli, Peronace et al were across the corridor in 233. Despite his relative lack of experience in football negotiations, Sommerfield was prepared with figures on the cost of living and the average Italian player’s wage. A fee of £65,000 was agreed between the clubs and a determined Sommerfield struck the best deal for his client. Charles, his wife and three children moved to their hillside home overlooking Turin. Every detail was taken care of, from first class travel, tailor made suits with matching silk shirts, and a brand-new Fiat sports car on the drive. Any potential logjam was averted when captain Boniperti was dropped back into midfield by coach Ljubiša Broćić to accommodate the new arrivals, with a return to title-winning ways the top priority. His impact was instant; a 3-2 victory over Hellas Verona in the opening game of the 1957/58 season saw Charles score the winner. Incredibly to his teammates, the fans and the board, Charles would never react when he was kicked or punched – instead he would get up, dust himself down and look to score. The concept of fair play was mind-boggling to the likes of Sívori, and the Argentine would become incandescent with rage should Charles put the ball out of play for an opponent to receive treatment. Opponents tested Charles’ to the very limit, although the roughhouse treatment – sly kicks, stamps and spitting – would always be brushed off with the Welshman choosing to smile and shake hands with the protagonists. On one such occasion in a game against Inter Milan, Benito Lorenzi attempted a unique way to rile Charles by making unsavoury comments about the Queen. “She’s not my Queen, I’m Welsh,” an unfazed Charles responded. Boniperti and Sívori would not stand for such behaviour towards their teammate and would very often deliver their own justice on Charles’ behalf. The results of that first season were incredible thanks to the trio of Boniperti, Sívori and Charles. The latter two combined for 50 goals – Charles with 28 of them – on the way to being named Italian Footballer of the Year in his debut season. La Vecchia Signora raced to the title, finishing eight points ahead of second placed Fiorentina, although a defeat to Lazio in the Coppa Italia semis ended hopes of a domestic double. Twenty-three wins and 77 goals secured the Bianconeri‘s 10th Scudetto, giving them their first gold star to sit atop the badge on the famed black and white shirts. A 7-0 European Cup humiliation at the hands of Weiner Sport-Club of Austria the next season led to stuttering displays in the league. Broćić was removed in November as the team slumped to a fourth-place finish, although on a personal note, Charles scored 19 goals. With the frustrating league performance behind them, the Bianconeri were desperate to appease the trophy-hungry tifosi. A resounding 6-2 win over Alessandria, followed by two 3-1 victories over Fiorentina and Genoa, set up a Coppa Italia final with Inter in front of 68,000 fans. Charles opened the scoring as Juve went in at the half two goals to the good. Inter pulled one back but Sergio Cervato scored his second of the game, and with Sívori adding a fourth, the Turin outfit won their first Coppa Italia title since 1938. Juventus legend Carlo Parola – the former skipper and some say inventor of the scissor kick – took over for the 1959/60 season. With Charles’ initial two-year contract was ending, and his value soaring to a world record £140,000, Agnelli joked that more Fiats would need to be sold to keep him at the club, but was delighted to extend Charles’ stay, as were the fans. He had quickly become the single most adored man in Turin. The laid-back approach off the pitch reaped dividends on it, and a further 50 goals for Sívori and Charles delivered the title back to Juventus in 1960. League runners-up Fiorentina stood in the way between Coppa Italia victory and a historic double. A Charles brace sent the game into extra time where an own goal from Dante Micheli gave Juventus back-to-back Coppa wins. Juve’s refusal to take European competition seriously was there for all to see in the preliminary round of the European Cup against CSKA Sofia. A 2-0 home win was wiped out in the return leg, with a brace from Nikola Kovachev. Two more second half goals for the Bulgarian champions gave them an unlikely 4-2 aggregate lead. A last-minute consolation from young striker Bruno Nicole proved futile as the Bianconeri exited to a smaller side again. The Italians consistently struggled against more robust, fitter sides from the continent, and their focus was largely on matters at home. Parola left then quickly returned when Gunnar Gren – a former member of Milan’s legendary ‘Gre-No-Li’ forward line – lasted a mere two games in charge. The emergence of Bruno Nicole saw Parola mix and match his forward line, employing Charles on occasion in several positions including his beloved centre-half role. Inter, bolstered by the free-scoring Antonio Angelillo, headed into the winter break with a three-point lead over their rivals, but the rest invigorated Juventus, who roared up on the outside of the Nerazzuri with five straight wins. With seven games to go Juventus led Inter by four points with a home tie against Helenio Herrera’s men to come. The pouring rain did nothing to abate the fans, with the Comunale bursting at its seams. More and more fans found their way into the ground, finding vantage points on top of the dugouts and the edges of the pitch. With half an hour of the game gone and the match scoreless, the referee summoned an end to proceedings citing a pitch invasion as the reason. A 2-0 victory was awarded to Inter and the aggrieved Juventus instantly lodged an appeal. The final week of the season saw both sides level on points, and with winnable games ahead, an end of season playoff was looking more and more likely. On the eve of the games, the Italian Football Federation upheld Juve’s appeal, declaring a replay as their conclusion. Inter were now back to two points behind Juventus and president Angelo Moratti fumed. Umberto Agnelli’s influential position inside the federation was seen as a conflict of interest, and a fierce rivalry was born. The decision was final, and with their spirit demoralised and concentration broken, Inter lost to Catania with the Bianconeri‘s point at Bari enough to secure the title with only the controversial rematch left to play. In protest, Moratti ordered Herrera to play the Primavera side, Juventus destroyed the youth team 9-1, Sívori gleefully scoring six. Boniperti hung up his boots at the season’s end, closing the chapter on the book of the magical trio. His selfless role in enabling Charles to slot into the forward line and settle into Italian life one that would not be forgotten. The next season would prove to be Charles’ last in Turin. It was one blighted by injury but highlighted by an unprecedented run in the European Cup. There was a winner-takes-all playoff to decide the quarter-final between Juve and Alfredo Di Stéfano’s Real Madrid. Charles found himself in a different position in each game, Parola throwing him forward when a goal was needed and hauling him back when a more conservative approach was required. A 1-0 win for Los Merengues ended the marathon encounter. The abolition of the maximum wage in English football and his wife’s desire for their children to be educated back home saw Charles re-sign for Leeds. The Welshman later declared the move as “the biggest mistake of my life”, spending a mere 91 days at Elland Road before returning to Italy to play for Roma. Knee injuries, marriage problems, and business failings took their toll and an inevitable return to Wales followed. Charles played until he was 42, first with Cardiff, across the border with Hereford United, and finally back in Wales with Merthyr Tydfil. 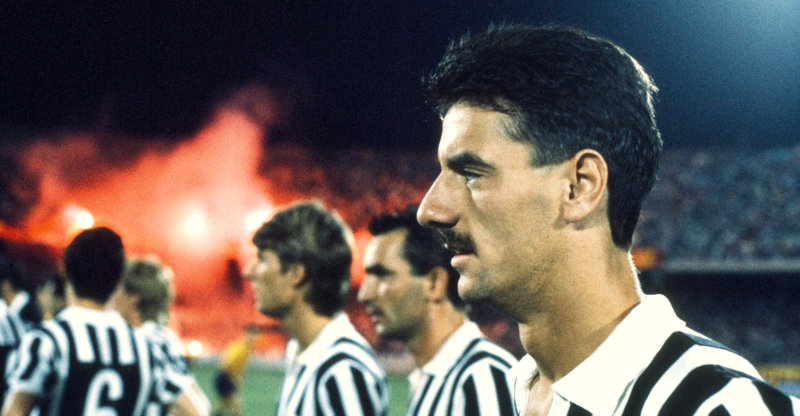 Despite leaving Turin in 1962, Charles was always amazed at the response he would get when he returned to visit old friends, and was honoured to be named the Bianconeri‘s best foreign player during their centenary celebrations of 1997. His legendary status was later confirmed with his induction into the Italian football Hall of Fame. The influential Agnelli family never forgot the service he provided for their club, coming to his aid when taken ill during a book tour in Milan. Charles, wife Glenda, and a medical team were flown home at the club’s expense as his health faded. After his death in February 2004, a minute’s silence erupted into resplendent applause as Juventus lined up to play Bologna the next day. Charles’ money worries saw much of his fortune gone, a trail of failed business ventures the cause. Yet his standing in the game never faded, and a memorial bust was unveiled at Swansea’s Liberty Stadium, with the stand his transfer helped rebuild at Elland Road renamed in his honour. 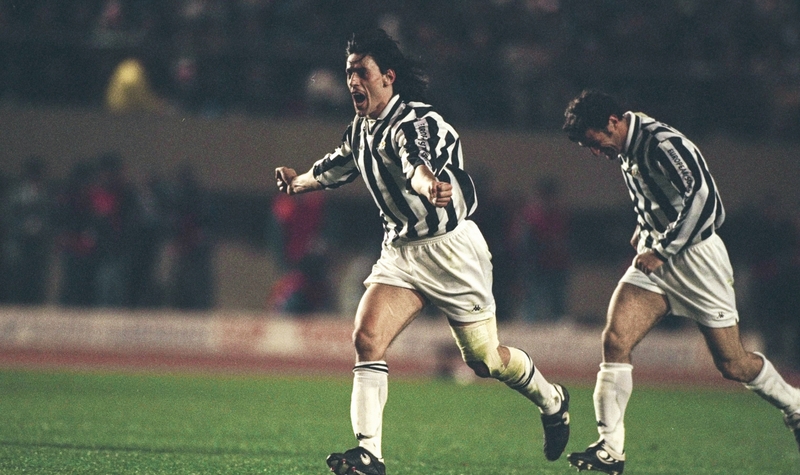 His three Scudetti, two Coppa Italias and 93 goals for Juventus will echo through eternity.